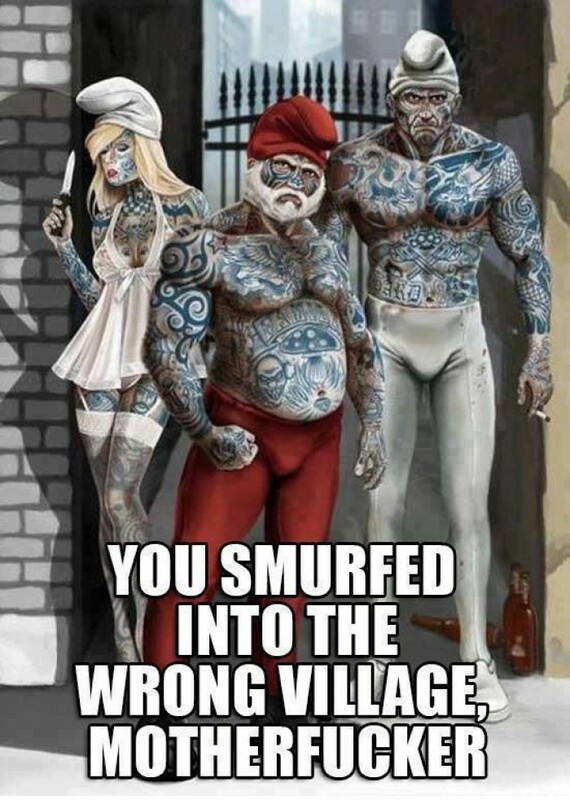 You smurfed into the wrong village! You smurfed into the wrong village! Tattooed Smurfs look really scary :) The Smurfs (French: Les Schtroumpfs, Dutch: De Smurfen) is a Belgian comic and television franchise centered on a fictional colony of small blue creatures that live in mushroom-shaped houses in the forest.